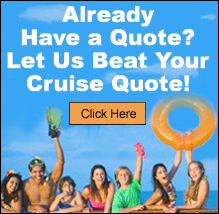 Holland America Cruise Lines - Just Cruises, Inc. Refined luxury, spacious comfort, state-of-the-art design and thoughtful amenities, allowing you to travel in comfort and style. Holland America Line has been a recognized leader in cruising, taking our guests to exotic destinations around the world. If you are looking for some of the most spacious and comfortable ships at sea, award-winning service, five star dining, extensive activities and enrichment programs and compelling worldwide itineraries, you've come to the right place. Your mid-sized ship serves as your luxurious hotel, featuring spacious public spaces with fresh floral arrangements and multi-million dollar collections of art and antiques, award-winning restaurants and elegant staterooms - most with ocean views or private verandahs. Most meals and entertainment are included in your cruise fare, which makes a Holland America Line cruise the best vacation value. Holland America declares, "Your every wish is our pleasure to fulfill." Always at the heart of the Holland America cruise experience is their warm and award-winning style of service that is never in the way and never out of reach. The cruise ships sail with nearly one crew member for every two guests, providing the intuitive, gracious service that has long defined classic cruising. Our specially trained crew takes pride in anticipating and fulfilling your every wish.